If you live for Chinese cuisine like Richie does, you might want to try out Modern Shanghai. 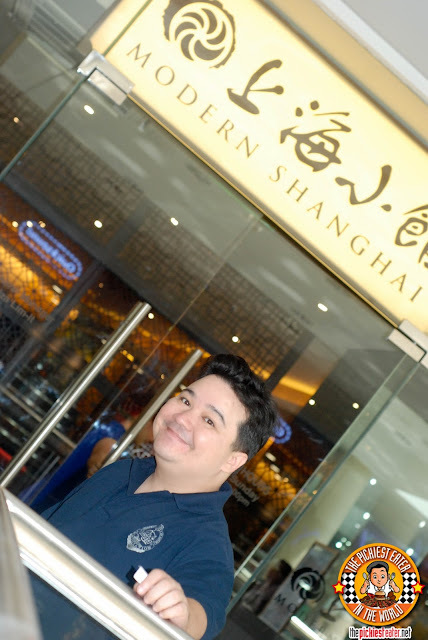 They have good Xiao Long Bao and other classic Chinese dishes you might enjoy! 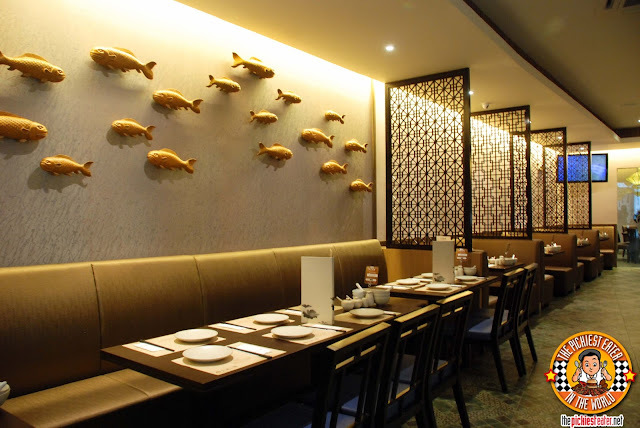 Modern Shanghai is Bistro Group's Chinese baby that is a great place to take the family to for a good meal. 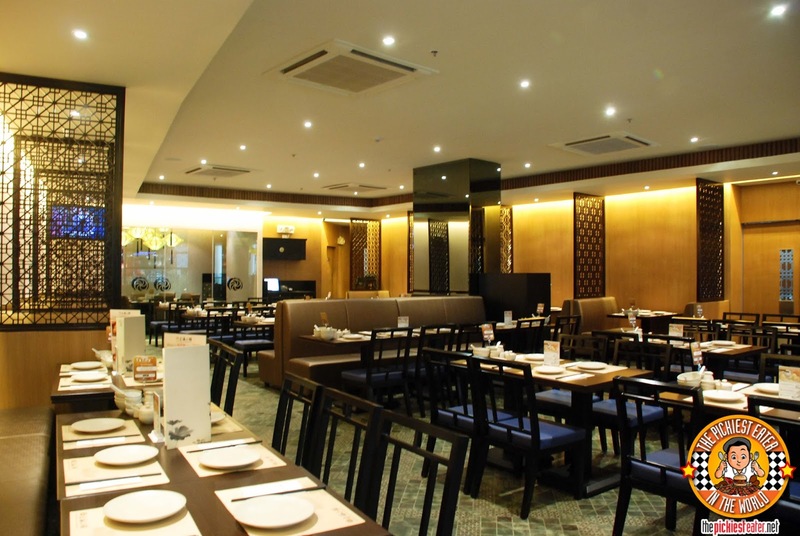 The place screams "family" and you can actually see a lot of large family groups dining there on weekends. I have been here with our whole family a few months back for my father-in-law's birthday. Any food is more delicious when sharing it with the whole family! 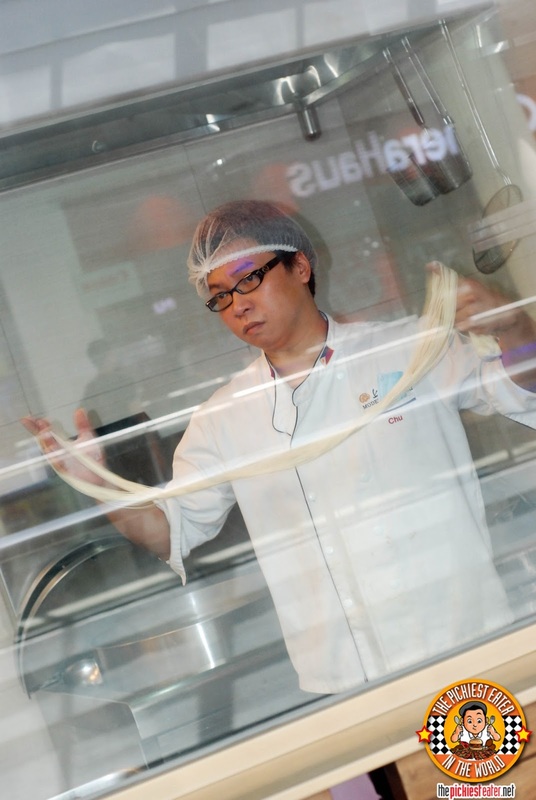 You can watch them from the outside making fresh hand-pulled noodles! The second time we went back was when we tried their new menu items (well, new at that time because obviously this is a late post haha) and the dishes were something I'm sure the whole family can enjoy. Steamed Shrimp & Pork "Siumai"
We started off with the Steamed Shrimp & Pork "Siumai" (P198). While I don't know why there are quotation marks in the word siumai and why the spelling is different, I of course knew very well what a siomai is..It's one of my favorite pang tawid-gutom food. (Pang tawid gutom-something you nibble on when you're so hungry and just waiting for the real meal to arrive). 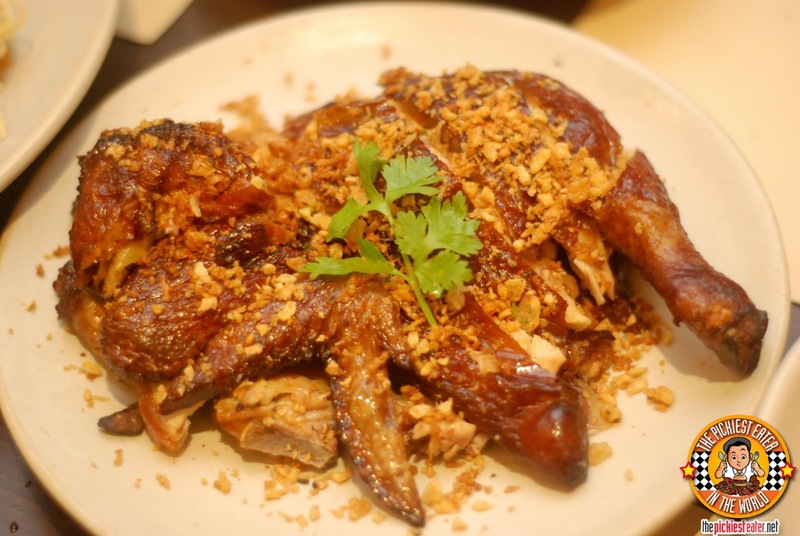 Modern Shanghai's new "siumai" dish was quite good. Soft and moist. If you know me, you would know how much I love shrimps. 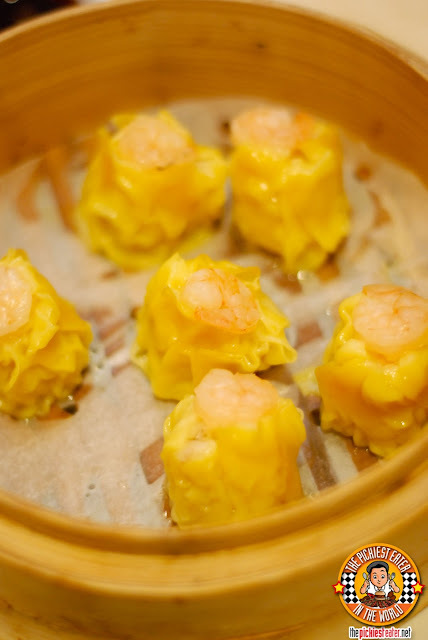 I was kind of hoping the shrimp served on top of the super moist pork siomai was a bit bigger, but hey! A shrimp is still a shrimp and the whole thing looked beautiful to me nonetheless. Their Deep Fried Fish with Spicy Fish Sauce (P248) was not bad as well. It had a bit of a kick that super spicy lovers might find the sticky sauce medium. But to me it was just right. The deep fried fish was moist on the inside as well. 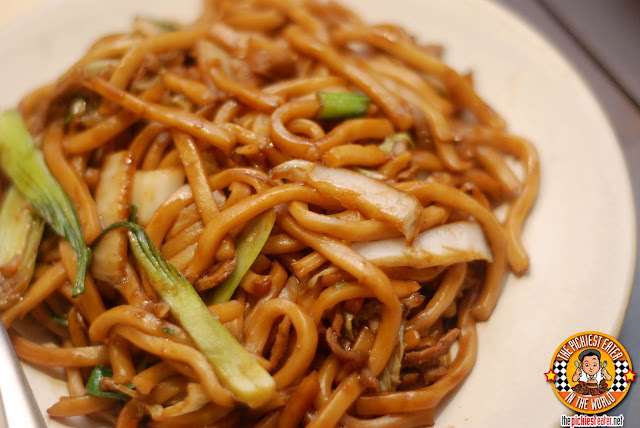 I always enjoy eating crispy noodles. And this one was no exception. Their Crispy Yellow Noodle with Seafood has a well-seasoned sauce, a bit more on the ginger side which I don't mind at all, and then mixed with seafood goodies like shrimp, fish, red bell peppers, i think there was cabbage, and more. It's always a treat to devour this dish which gives you different types of textures in your mouth. 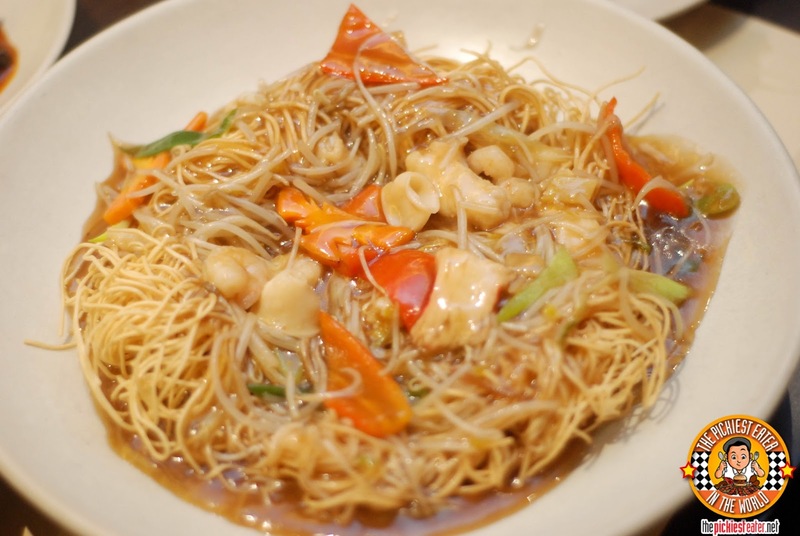 The Fried "Shanghai" Noodles are made of hand-pulled noodles made fresh everyday. And we all know what a difference it makes when noodles are made fresh everyday. It's very al dente and has just the right saltiness to it. 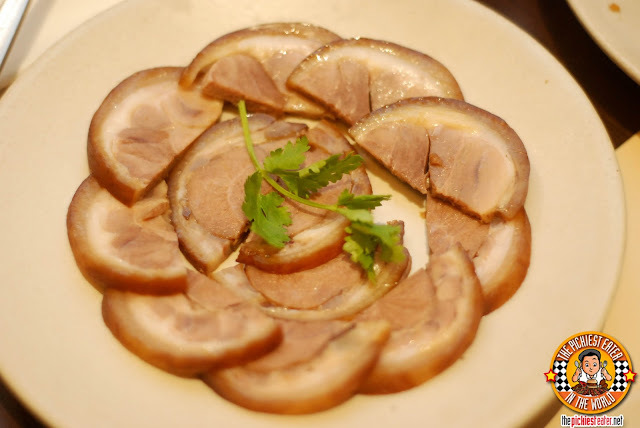 The Sliced Marinated Pork Knucle (P288) is a cold cut pork dish that has a sort of sweet and salty marinade to it. It was good but I'm not really big on meats alone. When I eat meat, I eat it with rice. So pinoy right? But neverhteless it was not bad. Richie on the other hand enjoyed it. Can you guess why? That's right! It's because of the beautiful layer of fat waving hello! 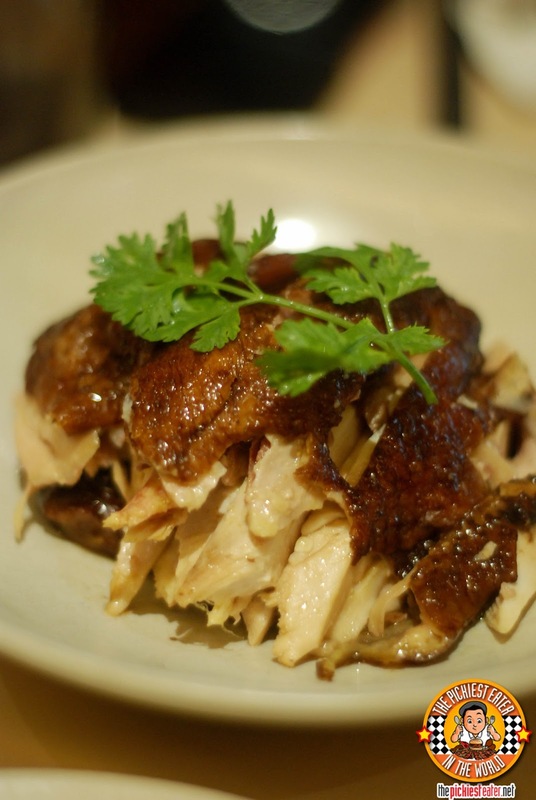 The Shandong Style Shredded Chicken (P358) was one of my favorites. 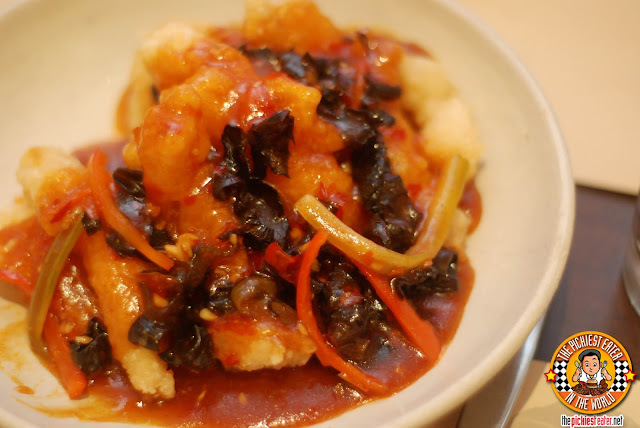 It's meaty chicken goodness cooked in a sweet Shandong style sauce. This dish can be served hot or cold. Either way I'm sure it will be equally good! The Native Hong Kong Crispy Chicken (P688) was another favorite of the group. Moist inside, crispy skin outside. We were told that they marinate it for 5 hours in their special sauce, then they hang the chicken to dry for a few more hours making sure the taste really stays on the meat and skin. Oh and they only use native chicken. No wonder it tastes really special. So this more or less caps off our little trip to Bistro Group's Modern Shanghai. Try it out next time you get an urge to have a Chinese food fix!